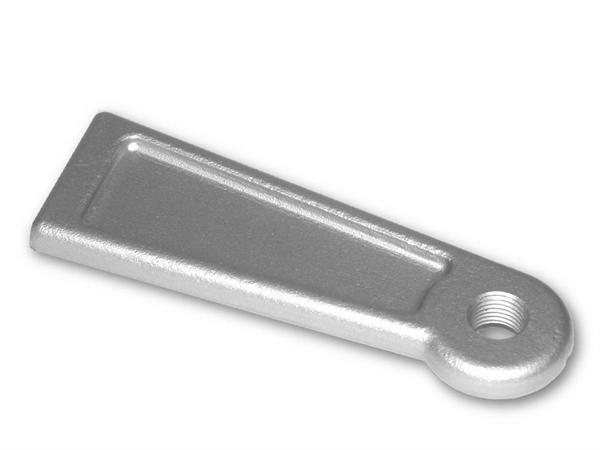 Forged Front Panhard Bar Weld-on Frame Bracket: This forged steel Panhard frame bracket features I-beam construction, ½-20 threaded hole on 4” centers and is designed to be welded in place. SO-CAL Speed Shop engineers are constantly improving the New Traditionalist Line of hot rod products as shown here by these all new drop forged steel chassis components. The I-beam design makes certain that they are the strongest and most user friendly product offered on the market today.